Rte. 219 North towards Carrolltown. Turn left onto Friend-Lea Rd (SR 1002). Turn right onto Colver Rd (SR 4005). Turn left onto Tripoli Rd (SR 4002). Go thru Tripoli. The road changes names to Snake Rd. 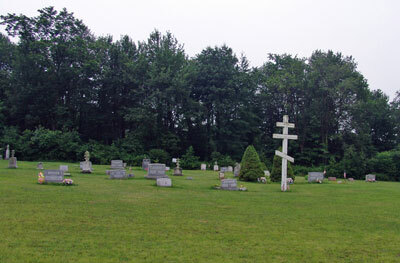 The cemetery will be on the left side of the road near the intersection of Snake Rd. and Wolfe Rd. (SR 4007).